Ahima is simple and more powerful theme. It has 7 post layouts, 2 slider layouts and both infinite and numbered pagination. Say bye to the limits, you decide your posts look. 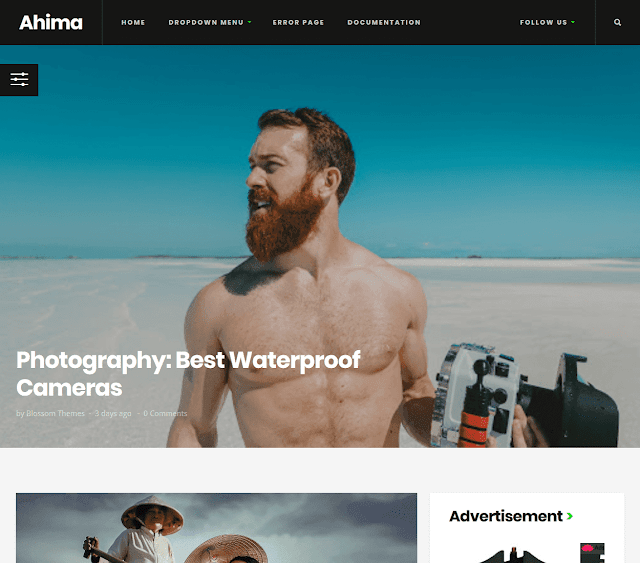 Ahima blogger template is a simple and clean theme. This template is a great contribution by blossom themes. Ahima has its own unique appearance. It is perfect for making a blog site relating to fashion, magazine, health niche site and more. Ahima blogger template includes splendid transition and hovers effects.